Do you know the Primary Treatment And Cause Of Achilles Tendonitis Aches ? Achilles tendinitis is an uncomfortable condition where a person?s large tendon in the back of their ankle becomes irritated and inflamed. It is a very common type of injury, most often seen in recreational athletes. This makes sense because recreational athletes still play hard at their sports, but don?t have the full knowledge or training that comes with being a professional to prevent injuries. Achilles tendon pain is not something to be taken lightly, so if you are aware of your own, you should definitely seek some medical advice. Symptoms of Achilles Tendinitis include the following. Pain and stiffness along the Achilles tendon in the morning. Pain along the tendon or back of the heel that worsens with activity. Severe pain the day after exercising. 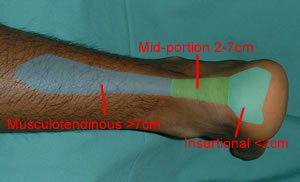 Thickening of the tendon. Bone spur (insertional tendinitis). Swelling that is present all the time and gets worse throughout the day with activity. If you have an Achilles tendon rupture, you might feel a pop or snap, accompanied by a sharp pain behind your ankle. You are likely to have difficulty walking properly. If you have ruptured your Achilles tendon then surgery is likely to be the best treatment option.